Are you feeling like it’s time for a little self-care, a little me time? ‘Drop-In Saturdays’ may be just the ticket! Grab a friend (or two or three), pack a snack, and head on over to Homeworks Etc for the chance to try your hand with our all-new preferred mineral paint of choice: Fusion™. You don’t need a reason. Just because is good enough impetus to bring you to our table. Roll up your sleeves and we will guide you through your next DIY project. We are so excited to introduce you to our wildly popular palette of mineral paints! (And by the way, you may have difficulty deciding amongst the gorgeous colours!) With ease of application, a zero VOC formulation, high hiding coverage, and a built-in top coat, it’s easy to PAINT BEAUTIFUL with Fusion™. Feast your eyes on the beautiful display of paint jars and pots lining our shelves. The human touch – paint poured into jars and labels attached, all by hand – adds to the homey feel of these pretty potables. 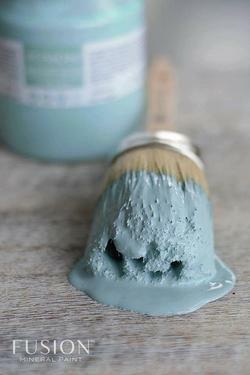 You will find yourself mulling over which pots of inspiration to bring home…to paint up a DIY storm! Come visit our warm and inviting gathering space – we are waiting to teach you…and play with you! Creativity has no limits at Homeworks Etc, where every DIY project is a success. Enjoy your experience and your gift of creativity. You, too, can be a maker and artisan of home décor! Check out the Homeworks Etcschedule for the next Drop-In Saturday. We are waiting for you! Copyright 2019 Homeworks Etc. Designs Inc. | All Rights Reserved.